Operation Christmas Child is currently in full swing. National collection week is November 13–20. Once again this year the Collection center is the Wheet Fellowship Hall at the Columbia Church of the Nazarene. 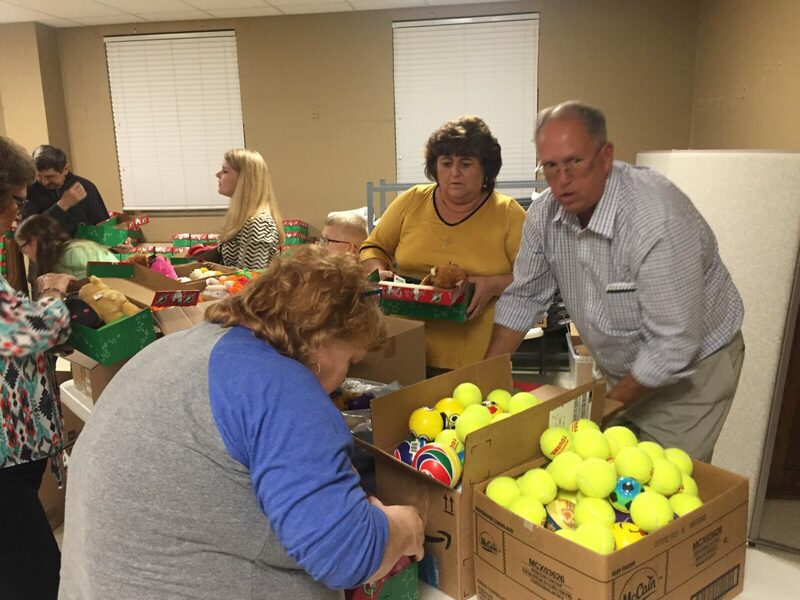 Photo below—Pam Burris, Cathy Martin, and David Martin help set up an assembly line to fill boxes at the Columbia Baptist Church packing party.